The practice was established in October 2015 and has gracefully been growing through the loyalty and support of our patients, the community and their referrals. We provide all essential and primary dental treatment as well as selected specialized treatment. We offer quality dental treatments at affordable and competitive rates. Our friendly, professional and dedicated staff look forward to being of service to you! Dr Coetzee completed her 5 year degree at The University of the Western Cape by which she graduated with the SADA award in Oral Medicine & Periodontology and Paediatric Dentistry. During her studies she was involved in a number of community outreach programmes. Amongst these were Gugulethu rotation, Scottsdene night clinic & Tulbagh to name a few. The highlight was her time spent on the Phelophepa Healthcare Train. This is what truly ignited her passion for working with the community, being able to make a difference in people’s lives. After graduating Dr Coetzee completed her community service at Grabouw Community Day Centre, where she was solely responsible for managing the dental clinic. She also served the communities of Villiersdorp, Botrivier and Kleinmond. Dr Coetzee was involved in oral health awareness and promotion with various schools in the vicinity and also did theatre sessions at Caledon hospital. 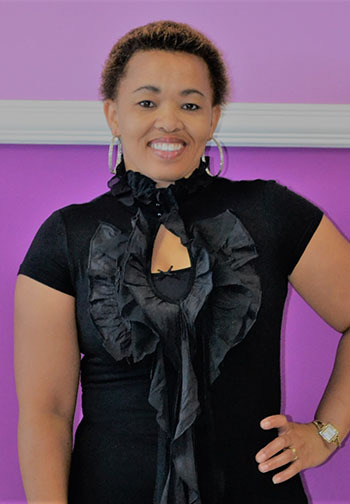 Prior to opening up her practice in Eerste River, she managed a private dental practice in Durbanville. Geraldine is originally from the Northern Cape. She relocated to Cape Town for work and studying purposes and now calls it her home. She received her certificate in business administration & management assistance through Boland College and is currently completing her internship as to receive her diploma in the field. Geraldine is responsible for the administration, appointment & accounts. She is the voice of the practice and will assist you with all your queries to the best of her ability. The practice is contracted with all major medical aid schemes as well as selected minor schemes and medical insurance companies. Dr Coetzee is a designated service provider for GEMS and Discovery - this allows us to treat patients on the Beryl/Sapphire and Key Care Plus options respectively, in addition to the other standard options. We also have a special cash rate to cater for those patients who do not have medical aid.